Declaring bankruptcy may be a last resort, and you do need to make sure that you have fully considered the process from all angles – the advantages, the disadvantages and the implications. Our experienced personal insolvency team at PJG Recovery can talk to you about all of the solutions available to you, including Debt Relief Orders, Individual Voluntary Arrangements and informal Debt Management Plans. Whilst we can help you with the process of declaring yourself bankrupt, even with filling in the application forms, this may not be the only option, so we will start by discussing your situation and looking at your debts. An Individual Voluntary Arrangement (a Trust Deed if you live in Scotland) or a Debt Management Plan can all deal with unaffordable debt – and may not have some of the future consequences associated with bankruptcy. If you need to declare Bankruptcy then we can make the process as simple and painless as possible. Enquire online or call us now on (NI & ROI) 02891 814890 (UK Mainland) 02920 346530 for further advice. Bankruptcy is a permanent way of dealing with debts that you cannot pay. Bankruptcy proceedings eventually free you from overwhelming debts, however any assets that you have may be sold and the proceeds shared amongst your creditors. Bankruptcy generally now lasts just one year, after which time you can make a fresh start, though there are financial restrictions which could last for several years – and your credit rating will be impaired for up to six years. It is therefore not a decision to be taken lightly, or without the benefit of professional advice. Why speak to us for Bankruptcy advice and help to declare Bankruptcy? If you are considering declaring Bankruptcy then you should seek expert advice. The wrong decision or inaccurate impression of the process now can have a huge impact on your quality of life. The team at PJG Recovery are licensed insolvency practitioners, meaning we are professionally qualified to give you advice and help with your application for a bankruptcy order. As specialists in debt management and resolution, we will offer assistance and guidance that fits your situation, and will work to put this stage of your life behind you with as little stress as possible. We are proud to say that we have helped thousands of other individuals become debt free and can help you work towards this very goal. 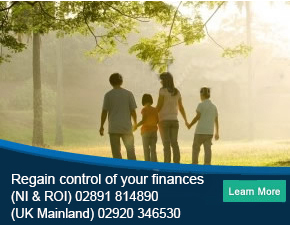 Simply call us on (NI & ROI) 02891 814890 (UK Mainland) 02920 346530 now or enquire online to start the bankruptcy process. The bankruptcy order usually lasts for 12 months – but this may be extended if the Official Receiver has grounds to suspect that you are not properly co-operating with him/her. Once this time has passed, you will be discharged, meaning you are no longer in debt and your previous creditors cannot bring further action against you. In some cases, people still have to make payments from their disposable income for the full 3 years – but this does depend upon individual affordability. There are certain items that you can be held liable for regardless of time, such as unpaid court costs and orders made against you in divorce proceedings, as well as CSA arrears and student loans. If you choose to go Bankrupt then your assets may be sold off to pay your creditors. Your home may be at risk and your credit rating will be affected. Some employers will not employ someone who has been declared Bankrupt. Let PJG Recovery give you real advice and information on all the options available to you. Even with the above points, Bankruptcy is often the best course of action for many people with serious debt problems. Who can petition for Bankruptcy? A bankruptcy order can be applied for by yourself or any of your creditors who are owed more than £750. What assets are exempt from Bankruptcy? What affect does Bankruptcy have on my home? If you rent your residential property and can continue to afford the rent after the bankruptcy then your situation should not change. If you own your home then you may have to sell it. This is usually only the case if there is equity within the property and you are able to remain living there if you can find a family member or friend who will purchase the property from you. I believe that I should declare Bankruptcy. What are the next steps? Simply call us on (NI & ROI) 02891 814890 (UK Mainland) 02920 346530 or fill in our online enquiry form and we will call you back. A member of our debt specialists will run through your situation, give unbiased bankruptcy advice, and will inform you of how best to proceed. We are here to guide you through the whole bankruptcy process and make it as quick and hassle-free as possible.